For most people in recovery – particularly individuals new to sobriety – attending a music festival probably isn’t at the top of the to-do list. 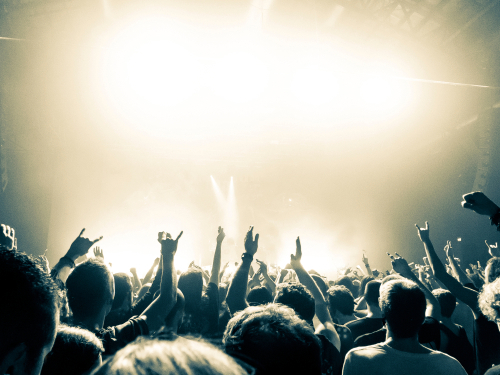 Massive concerts featuring a plethora of bands are hotbeds for alcohol and illicit substance use. Simply put, drugs and alcohol are a mainstay of festivals like Burning Man, Bonnaroo, Coachella, and Lollapalooza. The events are about the music to be sure, but that doesn’t mean that people don’t use such opportunities to push the chemical envelope. Since staying away from any environment that could put one’s recovery in jeopardy is vital, most people in early recovery would be wise to stay away. Exceptions can be made, such as attending an otherwise risky event with people in your support group; but, for the most part, any place where drugs are being consumed openly is not safe for one’s sobriety. A good many people in recovery maintain fond memories of attending rock festivals; even more people in recovery derive much comfort from listening to music. However, a love for sonic sensations does not justify putting one’s recovery in jeopardy. While avoiding music festivals may be hard for some people to swallow, there is a solution—Recovery Fest. Aside from thousands of people in recovery enjoying music in a safe and sober manner, the event offered free naloxone training. The event also featured recovery meetings, yoga, and meditation. Between sets, guest speakers addressed the audience. The drug and alcohol-free event was a success and showed the countless young people in recovery that having fun is still possible. There is a significant number of performers leading productive lives in recovery like Macklemore. Such individuals help to inspire teenagers and young adults to reach out for help and make the life changes needed for recovery. Anything is possible for those who commit to working a program, dedicated to leading an honest existence free from drugs and alcohol. Please contact Hope By The Sea to learn how the miracle of recovery can be yours too! We offer many innovative addiction recovery tracks that suit the individual needs of each client. With the help of our highly skilled team of addiction professionals, a fulfilling and productive future is possible.